Before you go, please pop over to my audiobook page where you can listen to the first chapter of each of my audiobooks free. My comrads over at Emblazon also have a growing selection of kid-friendly titles, often for dirt cheap through Amazon’s narration option. 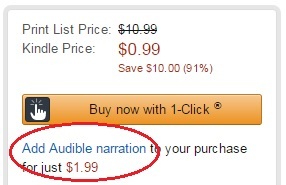 Now that you know about that little secret, you can watch for it on thousands of Amazon titles. Very interesting post. I’m not surprised. I always read out loud to my daughter, she read to me and we listened to a lot of audio books. I’m a big fan of Jim Trelease and a huge fan of audiobooks. Great blog post, Michelle. Good info to know! Thank you, Lynn. This post will be posting to Emblazon in December, my next turn. Have you and Kathy “audiotized” the Monster Moon books yet? I still catch Taylor picking those up. Definitely on his favorites list. This is very interesting. 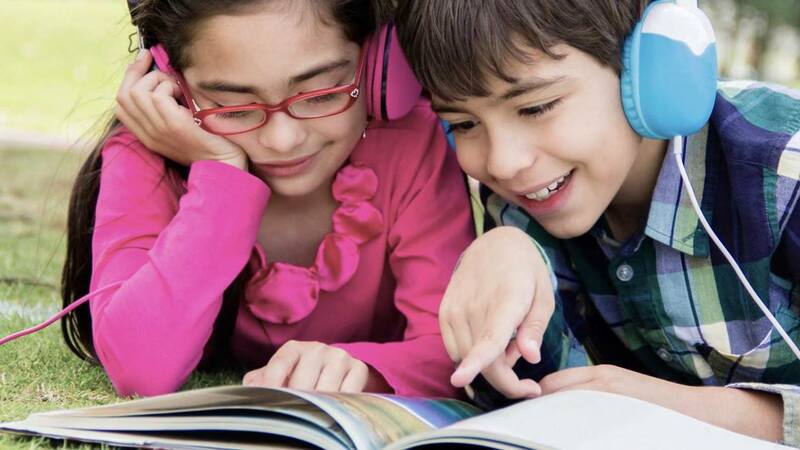 I think audiobooks can help kids who have trouble reading – they can read along. Definitely. They can learn pronounciation, new vocab, and even how to make their voice rise and fall. But they won’t even realize their absorbing it. It’s a really fun way to learn!